A day after Defense Secretary Jim Mattis said there were no plans to cancel future joint U.S.-South Korea military exercises, President Donald Trump made it clear: they’re not happening. In a bizarre “Statement from the White House” that Trump tweeted from his personal account, but then referred to himself in the third person, Trump said, “the President believes that his relationship with Kim Jong Un is a very good and warm one, and there is no reason at this time to be spending large amounts of money on joint U.S.-South Korea war games." Earlier this year, the Pentagon suspended Ulchi Freeedom Guardian, which involves 17,500 U.S. forces and last year included almost two weeks of exercises with their South Korean counterparts. The exercises were suspended at Trump’s request because he viewed them as too expensive and counterproductive to his denuclearization talks with North Korean leader Kim Jong Un. 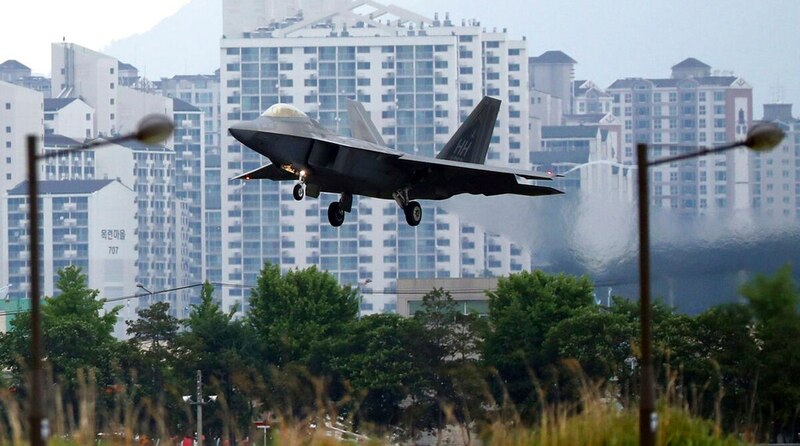 The next major exercises to take place are traditionally scheduled for the spring — Foal Eagle and Max Thunder are major ground and joint air exercises that help improve South Korean and U.S. interoperability. Kim was reportedly so incensed about Max Thunder this year that he threatened to walk away from the historic summit talks with South Korea and the U.S. The exercises are a necessary part of maintaining the readiness of U.S. forces on the Korean Peninsula. After some media outlets reported that Mattis' remarks at the Tuesday briefing meant exercises were about to resume, he issued a clarifying statement Wednesday afternoon. In his Wednesday tweet, Trump said the decision to exercise military forces serving in Korea would be made by the White House, not the Pentagon.